Jess Fox is a medal winning Olympian and a wonderful advocate for women's sport. Welcome to The Roar’s women’s sport weekly wrap – a space where I’ll introduce you to personalities in women’s sport and share some of the biggest talking points from the week. If you’ve read my previous work, you’ll know that my heart is in rugby league. I’m passionate about the game but even more passionate about ensuring the game is inclusive and welcoming for everyone. For me, across the board, the NRL is the benchmark when it comes to celebrating diversity in Australian sport. There are talented women involved in every aspect of the game. At the administrative level, there’s Cathy Harris who sits on the ARLC, Raelene Castle who is CEO for the Bulldogs, and Marina Go, Rebecca Frizelle and Katie Brassil who sit on club boards. Belinda Sleeman and Kasey Badger are two women literally calling the shots in the sport as high-profile referees. Helen-Wood Grant is a board member at the Men of League Foundation and personalities such as Yvonne Sampson, Megan Barnard, and Lara Pitt are leading the charge in the broadcasting world. Add to that the countless club personnel, fans and volunteers and women are everywhere in the sport. You just need to know where to look. A historic announcement was made over the weekend with Australian Jillaroos captain Ruan Sims becoming the first female to sign an NRL contract. The contract will allow her to train side by side with players like Paul Gallen and gives her complete access to the clubs facilities and training staff. It demonstrates a real show of commitment to advancing women’s rugby league. The Cronulla Sharks have been real leaders in this space starting with their announcement about the establishment of a women’s nines team in 2017 earlier this year. Hopefully, this outstanding news puts pressure on the other clubs to show leadership in this space, just as the Sharks have. Momentum is certainly building when it comes to the AFL women’s competition, with the new uniforms for the eight foundation teams being revealed in Melbourne on Thursday. I may be a Giants fan, but I think the Carlton outfit is looking pretty flash. More importantly, though, the AFL Players Association has worked with the AFL to improve the pay deal for the women’s competition. It’s a tremendous result that allows women to approach the competition as professionals. Base contracts will now start at $8,500 with further increases to occur in 2018. A payment pool of $2.275 million is available to all the players who will sign 24-week contracts that span from pre-season to post-season. Some relocation expenses will also be covered, two pairs of football boots will be included, and in a major coup to truly bring the competition in line with AFL’s rookies, players will receive income protection for one year in the case of an injury. This is on top of any medical expenses for 12 months after the end of that player’s contract. It sounds like our sports are finally starting to listen – if you want women to commit to playing your sport professionally, then you need to pay these women like professional athletes. While cricket is certainly leading the way when it comes to female participation in sport, some things never change. Melinda Farrell joked on Twitter this week, ‘it must be SUCH a comfort to WACA members, as they gaze at all the empty seats, to know their 1960s dress code for women is being upheld’. It must be SUCH a comfort to WACA members, as they gaze at all the empty seats, to know their 1960s dress code for women is being upheld. Farrell was referring to WACA dress standards, which require women to have ‘shirt or dress straps [that] span the width of the Membership card’ and that ‘the seam of all shorts or skirts must rest within the length of the Membership card to the knee’. Archaic much? Farrell was not the only person warned about ‘inappropriate dress’ at the first Test at the WACA earlier this week, with Firdose Moonda also warned for the dress she was wearing in the member’s area. While both women were issued apologies, I’ll let you decide if what they were wearing was inappropriate for a day of Test cricket. In more exciting cricket news, earlier this week, the Southern Stars named their squad for the upcoming one-day international series against South Africa. There are plenty of familiar faces in this squad with superstars like Meg Lanning, Alex Blackwell, Ellyse Perry and Rene Farrell all featuring. The first game will be held on November 18 at Manuka Oval in Canberra, just in time to help build excitement about the WBBL. Guess who? This athlete has competed at two Olympic Games – London and Rio. 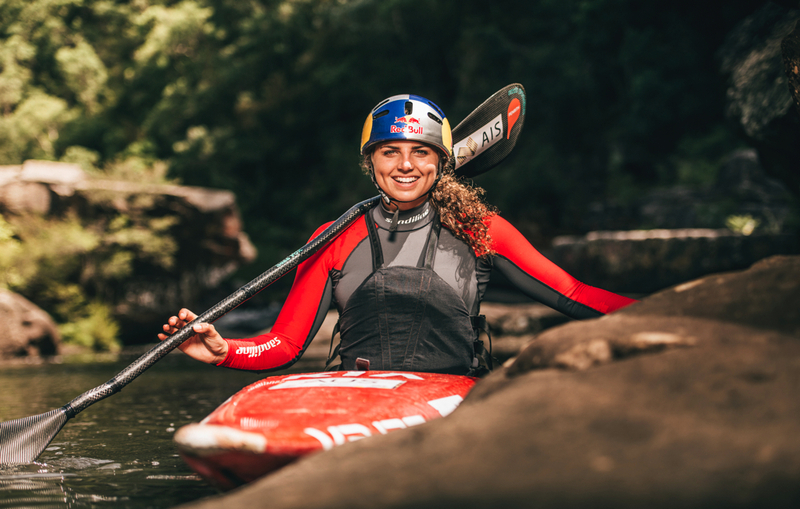 She has curly hair, has parents who both competed in Olympic Games in her sport, supports the Penrith Panthers in the NRL, and her sister is one of her fiercest rivals. 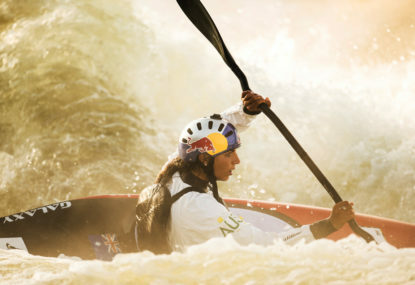 I’m talking about Jessica Fox, Australia’s canoe/slalom Olympic medallist. I caught up with Jess this week and not only is she a talented athlete, but she is also a fierce advocate for women in sport. Finally, congratulations to Madonna Blyth, captain of the Hockeyroos who announced her retirement earlier this week. Madonna is Australia’s most capped Hockeyroo and unfortunately ends her career without an Olympic gold. Until next week, I hope that in a week where the United States has been the world’s most talked about topic, you all remember the power that sport has to unite and bring people together. See you all at the W-League on Sunday!